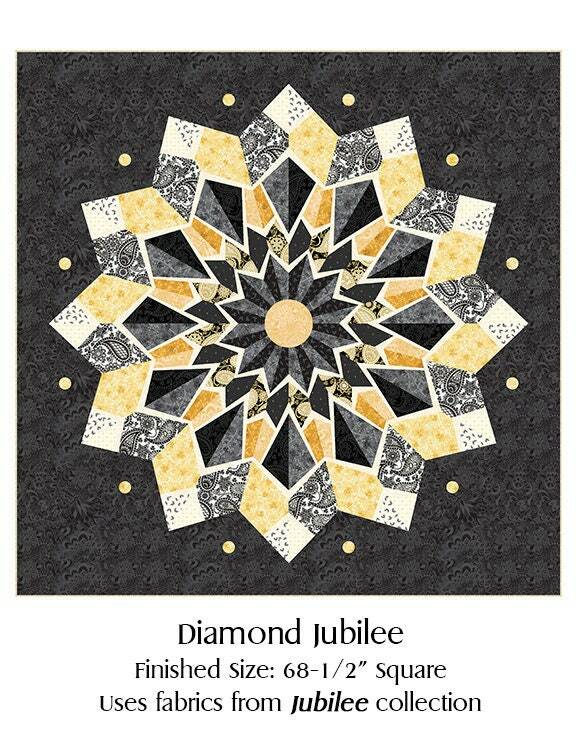 Amanda was asked by Bernina to create a fabric to celebrate 125 years in business, and to add an embroidery panel for a new Jubilee free motion project. The result? 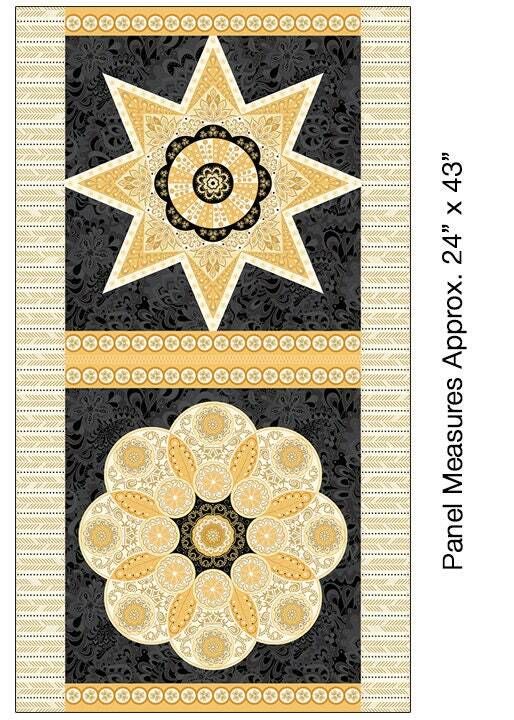 A truly majestic group of paisleys, embroidery panels on black and ivory… even a rayon border for easy apparel design. 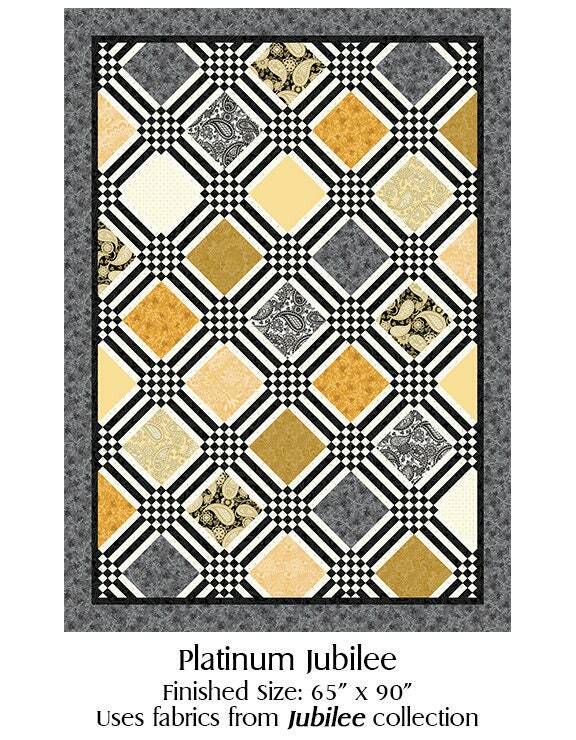 This panel has beautiful gold metallic accents throughout the panel. This is a Jubilee that should last for years to come! Appx Size - 24"x44" . If you purchase more than one panel it will be shipped in individual cuts. Please check out my shop for other listings in this line. The two quilts shown above are kits which are also part of the line! Fabric comes from my smoke free and pet free store!